Who is it for? 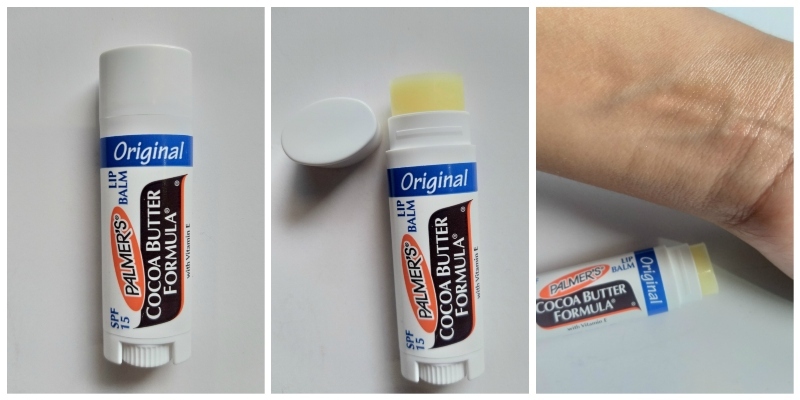 Palmer’s Cocoa Butter Formula Lip Balm is for those who do not have extremely dry lips and are looking for something lightweight as it does not provide heavy moisturization. This lip balm comes in a cylindrical white bullet with a twist up mechanism. The packaging is quite sleek and travel-friendly. The lip balm is not tinted. It has very thin consistency and I feel the consistency should have been a little thicker to provide heavy moisture. It is smooth in texture. The fragrance is really amazing, it smells like vanilla essence and like alpenlible toffee. This lip balm feels very light on the lips. But the consistency should have been a little thicker to provide heavy moisturization. It works well overnight, but you need to reapply it after every hour in the daytime for moisturization. However, it does not provide heavy moisturization and heal dry chapped lips. For me, this is an average lip balm that did not live up to my expectations. 2. Feels light on the lips. 1. Does not repair extremely dry chapped lips. 2. Consistency should be thicker. 3. Need to reapply it every hour. 4. Does not provide heavy moisturization. I wouldn’t recommend this lip balm for dry lips, there are other better options in the market to choose from.